Even so, retailers hope to capitalize on holiday purchases by offering exclusive items. Target has 350 store-specific toys this year, up from last year’s 300. Kmart is selling an exclusive auburn-haired holiday Barbie, and Toys R Us is pinning its hopes on an updated version of its kid-friendly tablet, Tabeo e2. The retailer is also marketing the Ugglys, an Australian line of electronic pets known for their bad manners. “Kids love anything that’s foul and funny,” said Lisa Harnisch, general merchandising manager for Toys R Us, adding that the company has exclusive rights to sell the products in the United States. But in these uncertain economic times, analysts say, the bets haven’t been big enough. 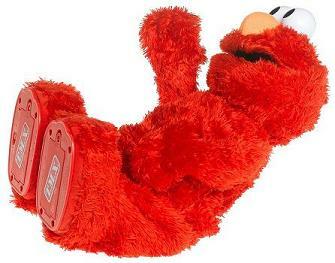 Many of this year’s top contenders — the Furby Boom, LeapPad Ultra, Big Hugs Elmo — are riffs on last year’s big sellers. The lack of a hit children’s movie this fall has also watered down the pool of options, said Douglas Gowin, the Santa Claus at the Fashion Centre at Pentagon City. Last year, he received a steady stream of movie-inspired requests: Spider-Man, X-Men, the Avengers. Not anymore.